The leading independent specialist for windscreen replacement and windscreen repair based in London and serving all of the London area. National Windscreens London fitting centre provides windscreen replacement and windscreen repair services to businesses and individuals throughout London and the London area. 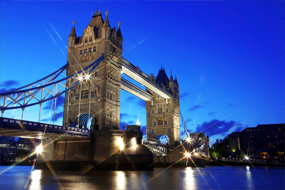 London is the capital city of England and home to the Houses of Parliament, Buckingham Palace, The London Eye and a vast number of tourist attractions. It is the UKs largest cosmopolitan city and its population frequently rises. This branch is based at the Elephant and Castle - a major road junction in central London. It consists of major traffic junctions connected by a short road called Elephant and Castle. The A2, A201, A3, A302 and A3204 all meet at the Elephant and Castle. The London windscreen fitting centre and its mobile vehicle glass technicians service the needs of London and the surrounding area including Chelsea, Southwark, Lambeth and Fulham. With 108 fitting centres and over 800 mobile technicians, National Windscreens operates the UK's largest windscreen repair and windscreen replacement network. The company provides low cost, high quality windscreen replacement and windscreen repair from its London fitting centre 24 hours a day, 7 days a week, 365 days a year. Repair and replacement of all types of vehicle glass including windscreens, rear windows and side windows is undertaken throughout London and all of the London area.